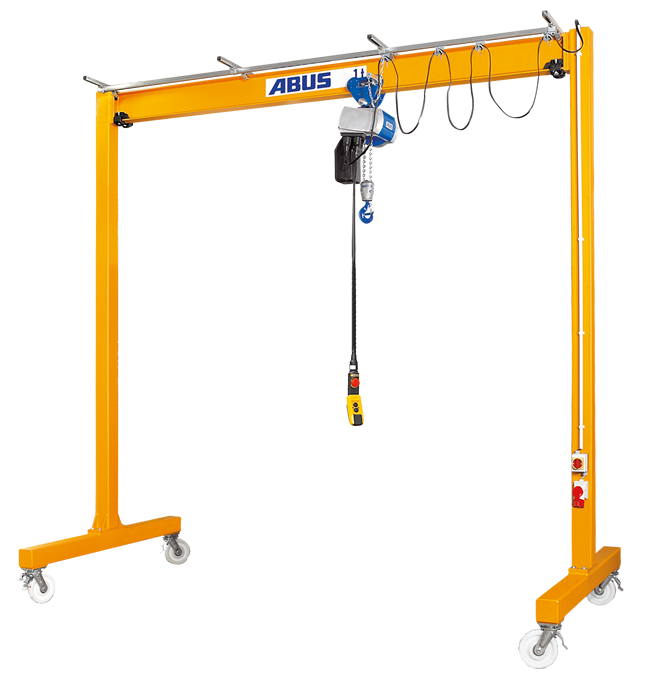 With the ABUS lightweight mobile gantry, you can mobilise the lifting power of an ABUS electric chain hoist. The crane is designed for loads up to two tonnes and features four steerable stop rollers for easy handling. Lifting power is always available where you need it. 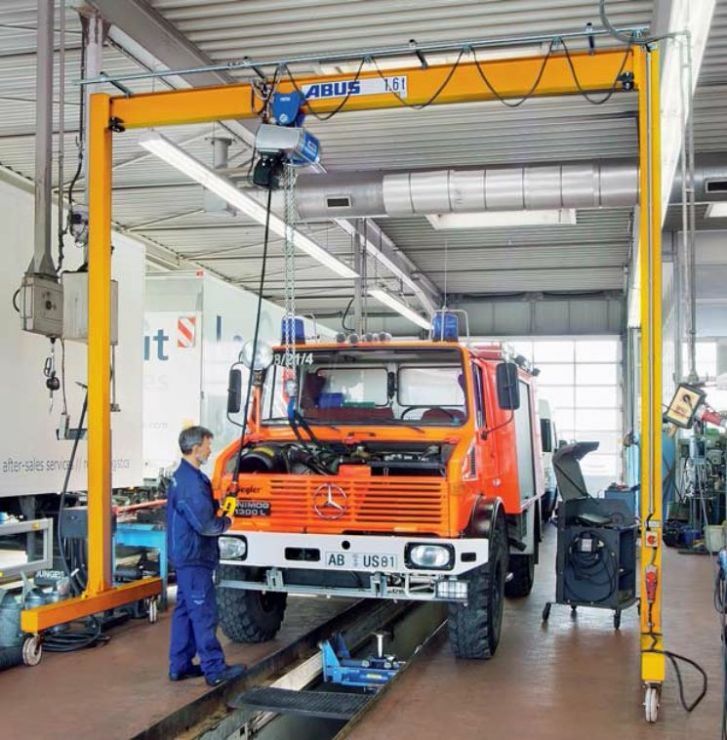 Depending on the load capacity required, the maximum overall width is up to 7.9 m and the maximum overall height up to 4 m. If necessary, the ABUS lightweight mobile gantry is also easy to dismantle.